A new OLED screen, you can have a better view than Vamo V2. The OLED display on the Vamo V3 is slightly larger over the Vamo V2.” However, the letters are smaller and dimmer on the V3 over the Vamo V2. 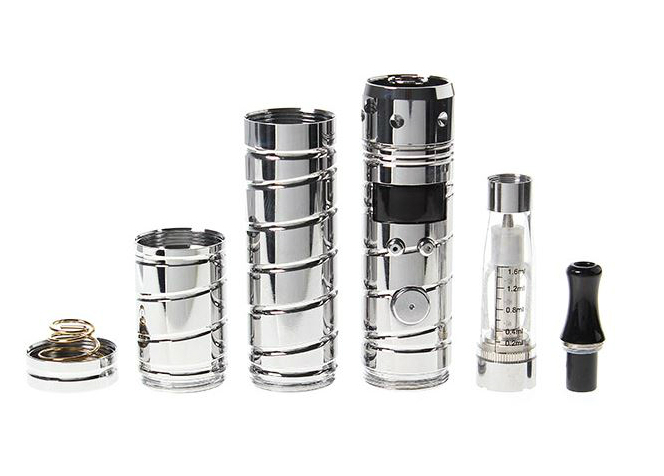 The Vamo V3 is tuned to RMS mode only. “Buds Blend” is an excellent smooth tobacco flavor, also available in menthol! Great throat hit, light tobacco under-tone with cocoa or chocolate flavor on the exhale. Awesome flavor! 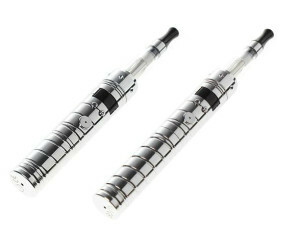 The button functions are very similar to the Vamo V2, basically the same. Output Voltage from 3.0 volts to 6.0 volts. Adjusting the working volts by 0.1 volt each time by pressing “+” or “-” buttons. Output power from 3 watts to 15 watts. Adjusting the working power by 0.5 watts each time by pressing “+” or “-” buttons. Pressing “+” button for more than 3 seconds, the OLED screen will display the present working resistance of your tank coils. Pressing “-” button for more than 3 seconds, the OLED screen will display the present remaining battery volts / charge. Pressing both “+” and “-” buttons together for 10 seconds will switch to Volts or Wattage output mode. Reverse battery protection keeps circuit safe if the battery(s) are installed backwards. Thermal Monitoring shut the device off if it dectects a high temperature condition. 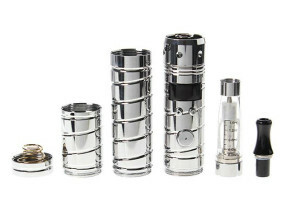 Fit atomizer with resistance 1.5 – 5.0 ohm. Time limit protection function, it will shut down, stop firing with more than 10 seconds per drag/inhale . LCD display “Low Resistance” if resistance lower than 1.2 ohms, “Low V” if the battery voltage is less than 3.2 volts. Don’t be alarmed if you hear a “pulsing” or rattlesnake sound, noise coming from your tank coils on the Vamo V3. It is normal, it is called Pulse Width Modulation (PWM) Vamo feature. There are 2 different tubes with Vamo V3, which you choose to use 1pc 18650 battery, 2 – 18350 batteries, or only 1 – 18350 battery. IMR or AW “unprotected” type battery cells ONLY. Flat or button top batteries will work in the Vamo V2 (version 2). The Vamo APV e cig is not a “passthrough”, batteries are charged in a separate battery charger. 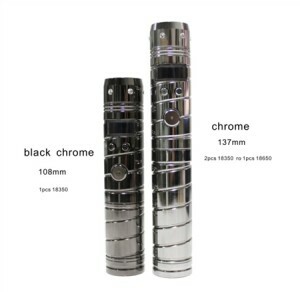 Depending on the vendor, and stock I have heard colors available for the Vamo V3 are Chrome & Black Chrome. Can anyone confirm this?